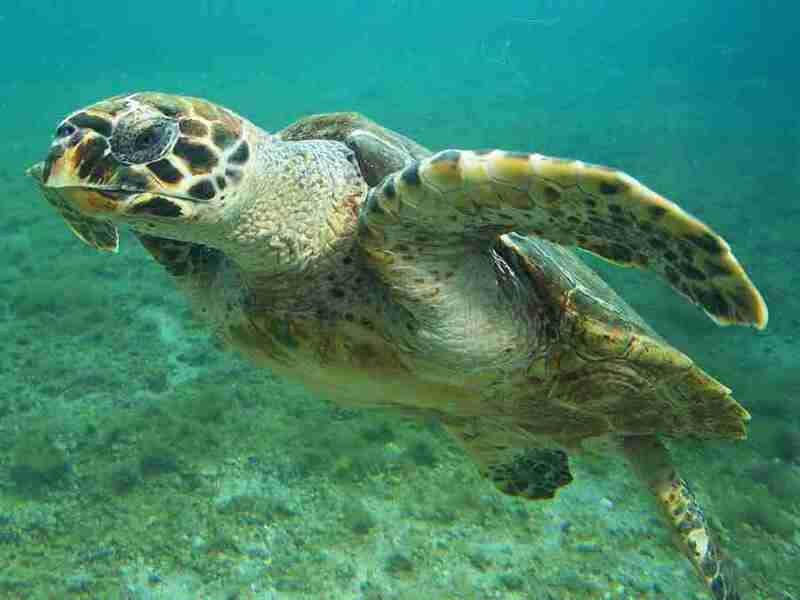 Is Ocean Life on the Brink of Mass Extinction? A recent article in Science misuses the data and exaggerates the trend. A widely and uncritically reported recent paper in the journal Science has concluded that mankind is headed towards causing “a major extinction” of marine animals. However, the authors of the paper repeatedly misused data to reach that conclusion, and the actual situation is far different from what they make it out to be. The main storyline of the paper is that humans have caused numerous extinctions of land animals since the outset of the Industrial Revolution about two centuries ago, and the trends that led to these extinctions are now evident in the oceans. This graph is a prime example of data misuse, because the record of documented species extinctions becomes increasingly incomplete as we travel back in time. Thus, the data will naturally show an increase in the rate of extinctions over time, even if none has occurred. The reason that sampling and counts of extinctions are so incomplete for historic times is obvious: Mankind did not have the scientific knowledge, technologies or financial resources to conduct the type of exploration and documentation that we do in modern times. 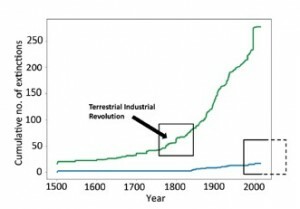 Hence, this chart does not prove that extinction rates increased over the last two centuries but that technological advances since the industrial revolution have enabled scientists to do a progressively better job of recording extinctions than in the past. Two important points arise from the details above: First, extinction rates based upon fossils are highly uncertain. 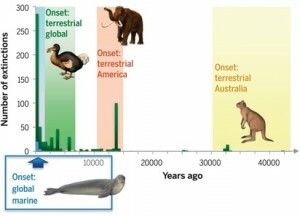 Second, the above graph systematically understates for these earlier periods of time the accepted background extinction rate of one species per year. In this chart, each vertical bar covers a period of about 500 years, and hence, the accepted background extinction rate would amount to 500 extinctions for each bar, or about the same as the modern extinction rate. Yet, the graph shows absolutely no extinctions for most of of time prior to about 1500 AD , conveying the impression that thousands of years regularly elapsed without a single animal species among millions ever going extinct. This has the effect of making the recent number of extinctions look misleadingly large by comparison. Similar evidence detailed in a background version of this article suggests that the modern rate of extinctions is modest and unalarming. Overstating the risks of wildlife becoming extinct tends to be justified on the basis of the Precautionary Principle: better to overstate than understate risks. But in science, precaution means avoiding speculative conclusions drawn improperly from data. For most scientists, deliberate and gross exaggeration amounts to deception, which is considered unprofessional, unethical and shortsighted. . . . Yet scientific precaution often clashes with the goals of advocacy . . . Exaggerating risks of extinction, whether ethical or not, is an effective political strategy for achieving conservation outcomes and the end justifies the means in the eyes of many.